Cloud-based driver, take the wheel. Imagine, you're sitting in your autonomous taxi when suddenly the power goes out and the traffic signals in your area no longer function. To keep things moving, traffic officers arrive at the intersection, waving cars through and the vehicles with human drivers move on without too much trouble. But your robot-controlled car stops. The car is confused by the lights being out, the human in the road, and the other cars seemingly driving into the intersection for no reason. Companies are doing their best to train their autonomous vehicle systems but there are too many variables to account for every situation. That's where Phantom Auto comes in. The startup based out of Mountain View, California wants to put a human behind the wheel of autonomous cars. But that "wheel" could actually be hundreds of miles away. 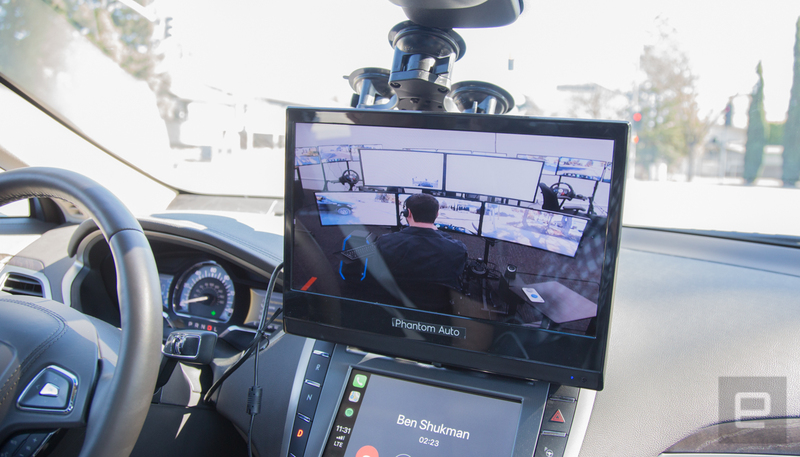 Phantom Auto wants to be the backup system for autonomous vehicles. When self-driving cars get confused, the company's trained drivers remotely take over the automobile until the self-driving system can regain control. 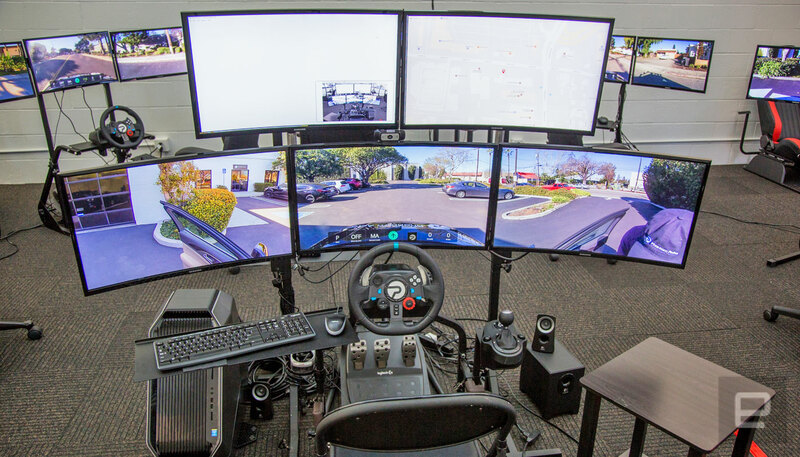 For the human back at the "call center," it looks a bit like a driving simulator. For the people in the car, it's redundancy that (especially for some early adopters), could ease their worried minds. I was able to take a ride in one of those remotely controlled cars in Mountain View. 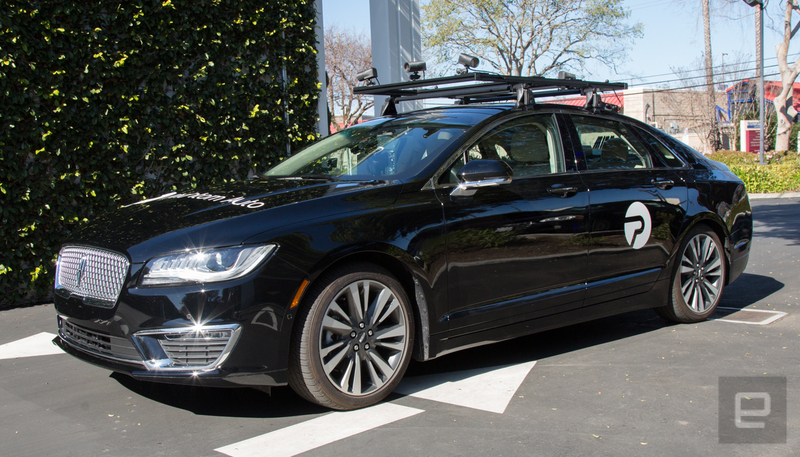 While I sat in the passenger seat of a specially outfitted Lincoln MKZ, Ben Shukman, a trained Phantom One driver took control of the car and we went out onto the streets of Silicon Valley. At one point the car needs to pull out of a parking lot, across three lanes of traffic on a busy street and into the left turning lane. There are a few moments when I wonder if Shai Magzimof, founder and CEO of Phantom Auto who is sitting in the driver's seat, will have to take the wheel. But after a few moments Shukman pulls it off and the car is in the correct lane, blinker flashing without the help of anyone actually in the vehicle. The experience wasn't exactly like having a person in the car behind the wheel, but it was close. Close enough that if I had been in an actual self-driving car and it encountered something it couldn't handle, it was comforting to know someone miles away could just start driving the car. The company notes automakers, ride-hailing companies and other entities are training their autonomous systems both on the road and in simulations, but you can't account for everything. "You can train your machine to learn with edge cases which do not exist. You can try to replicate as much as you want in simulation but real-world edge cases are almost impossible to replicate," Magzimof said. It's those edge cases that keep autonomous driving teams up at night and make services like Phantom Auto so vital to the future of driving. These cars will get confused. No amount of training can prepare a self-driving system for every situation. While I was only a few miles from the company's headquarters during my ride, at CES 2018, the company had a driver in Mountain View controlling a car 550 miles away in Vegas. The only limiting factor is bandwidth and Phantom Auto assured me that because they are using multiple carriers at once, dead zones wouldn't be a problem. It also helps that the company goes out and collects data points (like bandwidth and latency) for every latitude and longitude it tracks within a geofenced area. Since autonomous vehicles will more than likely be initially deployed as taxis and will be confined to a specific area or route, Phantom Auto's mapping system makes sense. While it's not too concerned about dead zones (since most systems will be in urban areas), the company is looking forward to 5G deployment which should cover more areas and reduce latency. Magzimof wouldn't share specific speed numbers but did say that the system is encountering less than a hundred milliseconds of latency. The video clarity from the car's cameras back at the office did look impressive and there didn't seem to be any issues during the demo drive. But the company cautions that this is only for taking over confused cars that ping their call centers filled with trained drivers, not for emergency situations. For example, if one of these cars is flying down the highway at 70 miles-per-hour and suddenly something falls out of a truck that confuses the car, Phantom Auto can't help you. It's hoping to be able to take over these vehicles within 30 seconds at the very most. Not exactly capable of keeping you out of harm's way in a dire emergency. Instead, Phantom Auto will initially be a bridge between what autonomous services want to be and what they will be out of the gate. Then it'll be a backup for all the weird things that happen on the road that a computer can't initially figure out. It'll be decades before there are level 5 fully autonomous cars on the road that can handle any situation. Between now and then, it'll make that very long transition easier for people to swallow if they know that if things get weird, somewhere there's a trained driver behind the wheel of a computer ready to help you get you where you're going.